Helmuth Karl Bernhard von Moltke was born in 1800 as the son of a Danish officer. Moltke attracted attention due to his intelligence and success since the early days he joined the Prussian army. He also served as an advisor and a teacher in the Ottoman Army between 1835-1839.
Letters from Turkey is a collection of his memories during his stay in the Ottoman Empire. His book is regarded as one of the most significant resources to understand the Ottoman way of life during the 19th century. As Moltke was fluent in Turkish, he was able to observe and analyze the Ottoman society thoroughly. Moltke‘s adventure in Letters from Turkey started in Thrace. 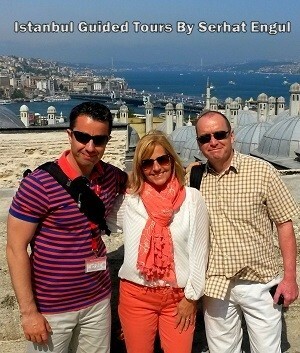 His trip to Balkans began in Bucharest and ended in Istanbul. 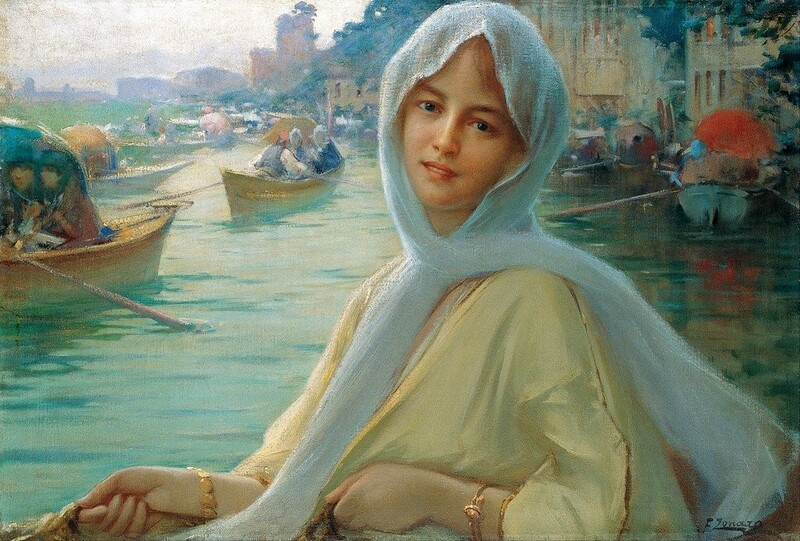 It’s an interesting detail that he included Bursa, which he described as the Asian Olympus, in his depiction of Istanbul. We can infer from the letters that the Bosphorus was as lively as today. While the Bosphorus was swarming with domestic and foreign ships, there was non-stop boat traffic in Asian and European sides. The cemetery that Moltke mentioned might be the Armenian Cemetery, which begins from where Gezi Park used to be and reach till Harbiye or it might be Mevlevi Cemetery at Galata. The snowy hills of Anatolia side and Leander Tower, that’s how some European historians call the Maiden’s Tower, can be seen clearly from this cemetery. 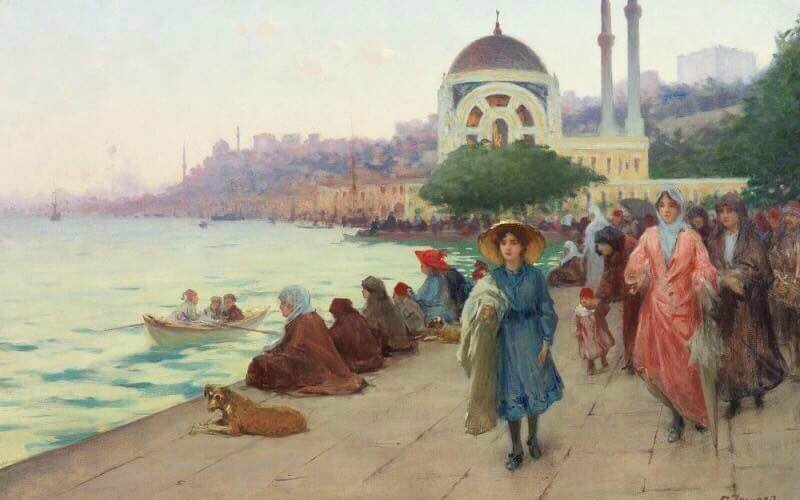 Istanbul was a lively and vibrant city thanks to being the centre of the Ottoman Empire. 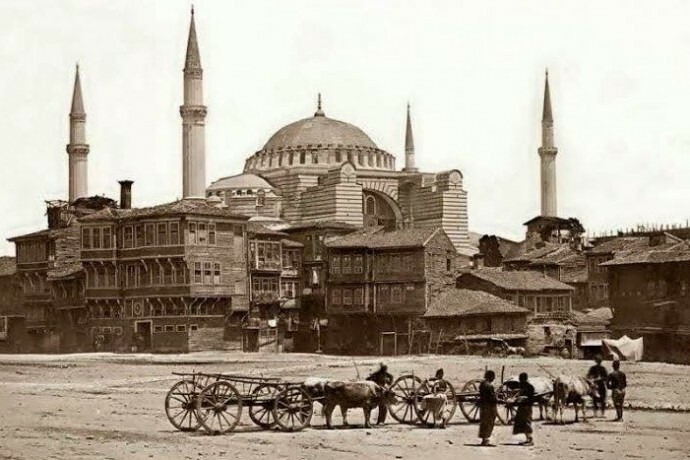 The streets that began with the mansions on both sides of the Bosphorus widened when you walked to the inner parts of the city where mosques, shops, and houses were lined up one after another. The food sold at the bazaar drew Moltke‘s attention. Such fruits and food as coconut, manna, dried grape, pomegranate, and kibbeh as well as desserts like honey paste, rice pudding and grape jelly would be sold at the bazaar. I guess the food sold at the bazaar would be hard to find in Europe those years. The Fish Market would begin where the vegetable market ended. Oysters collected by the Greek as well as delicious and big fish would be sold here. The scene at Kilic Ali Pasa Mosque in Tophane is also noteworthy. In Moltke‘s own words, there were shops at the yard of the mosque where elegant things were sold. A scrivener was writing down the things that women were telling him patiently. During Ramadan, the city was dead. Although everybody gathered around the fireplace to get warm, there was no trace of coffee. The city came to life only after sunset. Therefore, even diplomatic meetings were held in the evening. Moltke calls Rumeli Fortress and Galata Tower as the knots tied around the neck of the Byzantine Empire. 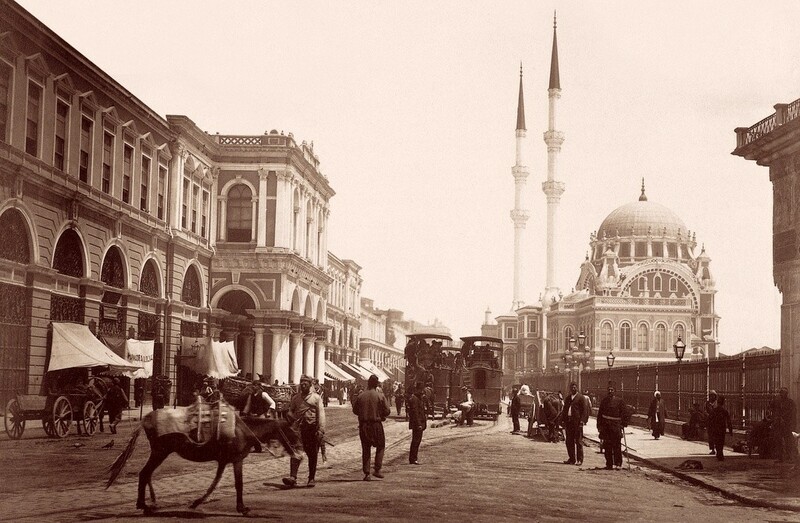 There are so many similarities between Istanbul that Moltke described and the modern Istanbul. Bebek and Tarabya were the neighborhoods that were populated by the rich people back then like today. While Bebek was a home to the rich bureaucrats of the Ottoman Empire, the residences that belonged to the embassies of Austria, Russia, Prussia, France, and England were at Tarabya. Bebek is one of the most beautiful neighborhoods of Istanbul. It is no surprise that the important people that held positions at the Ottoman palace and wealthy people usually resided in this area. 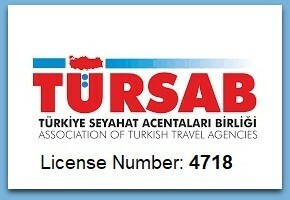 While the Turkish boatmen at Arnavutkoy were trying to attract customers by barking “Istanbul! 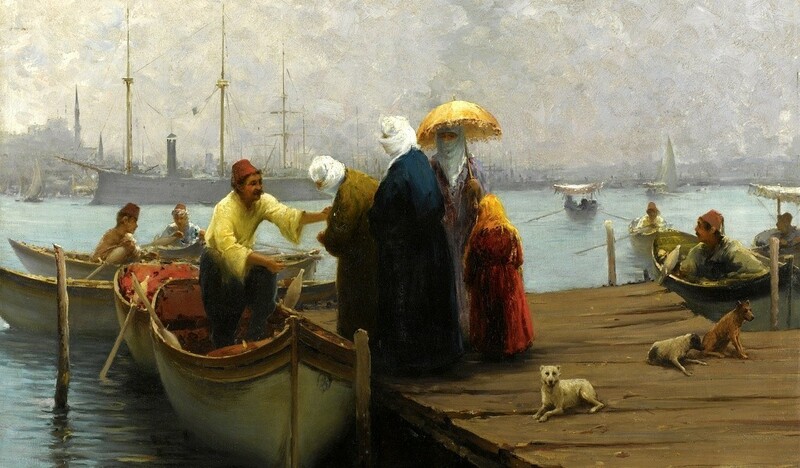 Istanbul!’’ the Greek boatmen would prefer “Stamboli!” Although Arnavutkoy had a narrow pier, it can be inferred that Arnavutkoy was an active and vibrant place as Arnavutkoy was an important hub of transportation. However, the shaky boats were in majority instead of ferries. It was easy to guess the level of income and the status of the passengers by looking at the boats they get on. If there were red cushions at the back of the boat and ornaments on its sides, it was a sign that the passenger held a high status. Offering coffee was widespread both in Turkish and Armenian homes. It would be rude not to offer coffee to guests. The rituals related to hosting guests were equally important. A pipe to smoke tobacco alongside coffee would also be served in some homes. If there was no coffee at the host’s house or if it was not ready yet, guests would be served a spoon of jelly and a glass of water. Although we imagine the otherwise, smoking tobacco was not a problem. It was common to smoke tobacco in the open air if you wanted to. In addition to that, there were a high number of people, especially military officers, who emulated the Western culture. We can guess they were fond of the Western culture by looking at the tables and table clocks in their homes. In the 19th century, the watch was seen as a modern object that belonged to Europe and the Turks would buy a couple of clocks and keep them at home even if they didn’t work. The social life is visible in Istanbul by simply looking at its scene. The windows of the mansions around the Bosphorus would be closed with high wood curtains. The reason why these high wood curtains were used was to prevent the men on the boat from seeing the women. Indeed, women were not visible in the social life as much as men. There were strict rules to regulate the social life. When a Muslim woman cheated on her husband, the punishment would be a divorce. However, if women cheated on their husbands with a Christian, the punishment would be much more severe. Moltke mentions such an incident in his memories. He also adds in his book that falling in love, flirting and making advances were not valid in relationships that led to marriage. Therefore, Moltke predicted harems would be the last place where the reforms would be applied. In fact, it is known that women back then were under heavy control and they didn’t contact anyone else except for the women in their families, so much so that, if a man greeted a woman on the street that he didn’t know and even though he knew her and made it obvious, it was accepted as really rude and unaccaptable. Even the colors of the shoes that women would wear were described by laws. While the Turkish women could only wear yellow shoes, the Greek would wear black, the Jews would wear blue and the Armenians would wear red shoes. Contrary to the common belief, there was no big difference between the lives of the Armenians and the Turks, so much that, Moltke described Armenians as the “Christian Turks”. Indeed, there were various similarities between the Armenians and the Turks, be it the social life of women or the rituals of hosting guests. Moltke indicates in his book that he rented a house of a man named Madriraki and he almost never saw a woman during his stay there. The laws permitted non-Muslims to marry only one woman. Moreover, it wasn’t a problem for non-Muslims to consume wine, but apart from such small differences, there were no striking distinction between the non-Muslims and the Turks in social life.